FINALLY AVAILABLE AS AN E-BOOK! Click here to check it out. My oldest son, the model for Robby Hummer. He has always been quick to point out, however, that the thoughts of the main character are really my thoughts, not his. I'm sure he's right about this, but I honestly was trying to tell the story from his point of view and show him I sympathized with the difficulty of living large as an only child until the age of six and then being presented with a sister and a brother! He inspired me to write Nekomah Creek with two books he wrote for school, one entitled, "Son of a Nut" and the other called "Hectic Babies." "My dad is a nut," one begins. "He goes crazy over Halloween and Christmas. 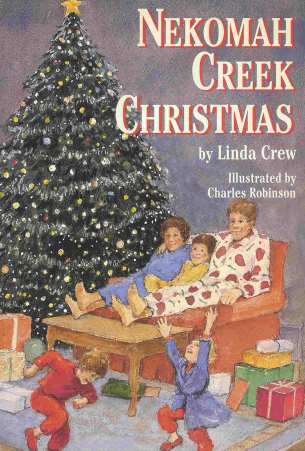 He carves a lot of pumpkins at Halloween--maybe about fifteen..."
These and other anecdotes found their way into the Nekomah Creek books, which now serve for me as a sort of scrapbook of all the fun and hassles we had when the kids were little! The renown children's librarian E. R. Bird of NYC posted this lovely review (excerpted) on Amazon and I appreciated her take on my book. "Living in New York City gives me a particularly skewed view of the rest of the world. When you're a resident of the Big Apple you begin to take certain things for granted. Sure lesbian couples are treated with nary a raised eyebrow in the public space. Sure moms are usually employed in some fabulous job and everyone has a nanny. Sure there are tons of stay-at-home dads out there taking care of the kids. These assumptions aren't bad necessarily, but they can certainly wreak havoc when it comes to reading something like, "Nekomah Creek". As I paged through this high-spirited and loving little tale, I kept getting bothered by the central conceit. Our hero has a stay-at-home dad who's a great cook. This is a big deal in the story and our hero is embarrassed by this blow to conventional lifestyles. I kept getting angry that this was treated as such a bizarre idea. 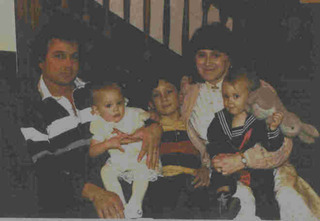 Sure the publication date was 1991, but even then dads who cook were nothing new. Then I took a step back from my Manhattan goggles. If you're living in rural Oregon with residents who can trace their generations back through the Oregon hills, you are definitely gonna run into nuclear families that shudder at anything so original as a dad that makes a mean salmon. Once I relaxed and accepted that this story remains as pertinent today as ever, I was able to sit back and enjoy the ride. As a former resident of heaven-on-earth-God-I-miss-it-so-Portland, Oregon I was immediately drawn to the title's location. Robby is constantly being offered the chance to go to Powell's Bookstore in Portland as an ultimate reward. Any book that ends with a trip to that lovely place has my immediate approval. Other aspects of Oregon shine through the writing as well. The salmon. The timber. The weather. If you want to immerse your kids in Oregonian flavors, this would be a particularly good place to start. By and large the book has aged exceedingly well. I like to think that it's more common now for dads to stay home and raise kids, but that probably depends on what part of the country you live in. There are some dated references in the book to Nintendo and Mr. Rogers but these are few and far between. 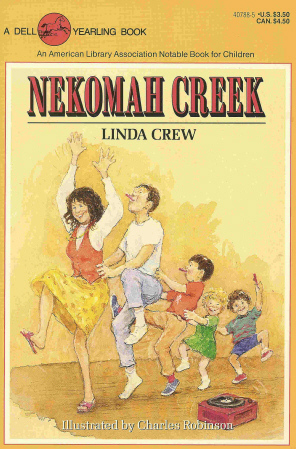 "Nekomah Creek" is simply a nice little story with a bent that some daddies and Oregonians will incline towards. Pleasant and pleasing." I think Ms. Bird would be tickled to learn how the real-life characters turned out. "Naughty Lucy" is married to a veterinarian she met at Smith College and now works full time at Powell's Books! Several years later,"Buddy Wabbit" is more beloved than ever. Note the hand-stitched smile.